Burgundy is home to the supreme expressions of pinot noir, chardonnay, and gamay. 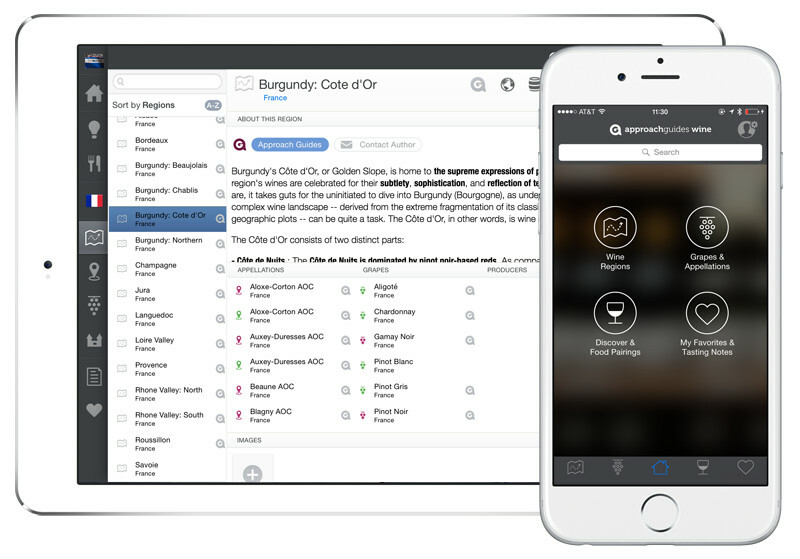 This guidebook gives you what you need to make informed wine choices on any list. I was uninformed about Burgundy prior to reading this book, often finding its complexity beyond a simple grasp. I now have a much better idea of how to seek out the better wines from this complex region. Wine guides for the ultra curious, Approach Guides takes an in depth look at a wine region’s grapes, appellations, and vintages to help you discover wines that meet your preferences. 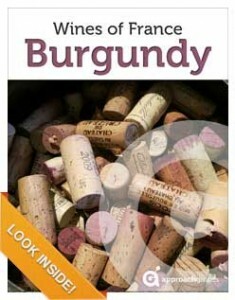 The purpose of this guide is to profile the unique aspects of Burgundy’s appellations and grape varieties; this guide does not profile specific producers or rate individual wines. While all of France’s wine regions are special, Burgundy is in a class by itself. The wines are sublime, distinctive and evocative of place. However, as good as the wines are, developing an understanding the region’s complex wine landscape — derived from the extreme fragmentation of its classified vineyard area into small geographic plots — can be quite a task. Explaining this landscape and what makes the wines from each area unique is what this guidebook was designed to do. Côte d’Or. The Côte d’Or, or Golden Slope, is home to the supreme expressions of pinot noir and chardonnay. Its wines are celebrated for their subtlety, sophistication, and reflection of terroir. Côte Chalonnaise. Located immediately south of the Côte d’Or and focused chiefly on pinot noir, the Côte Chalonnaise delivers some lighter and crisper wines of good value. Mâconnais. Just south of the Côte Chalonnaise is the Mâconnais, whose chardonnays deliver great values. Beaujolais. Beaujolais, comprising the southern end of Burgundy, is home to the red gamay grape. Wines are approachable, offering bright fruit and low tannins, at attractive price points. Plus, wines from its ten Cru Beaujolais villages, account for roughly 25% of total production, are sophisticated and still affordable. Yonne. Separated from the rest of Burgundy and sitting off to the northwest, the Yonne is best known as home to the minerally, gunflinty chardonnays of Chablis. 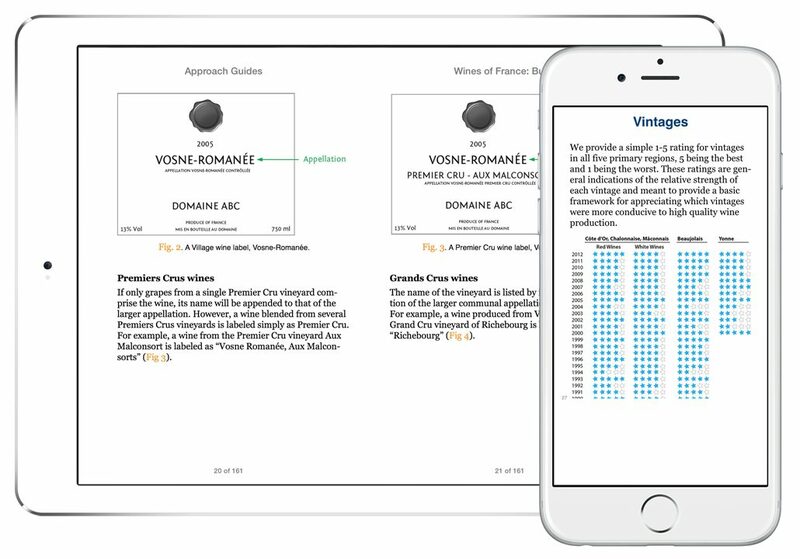 This Approach Guide begins by offering a straightforward vintage ratings table, which affords high-level, area-by-area insight into the best and most challenging years for wine production in Burgundy. It continues with a brief review of the Burgundy’s primary red and white grape varieties and where they reach their highest expressions. Finally, it concludes with detailed appellation profiles. For each, this guide offers insight into its specific terroir, pointing out the best wines and what makes them distinctive. 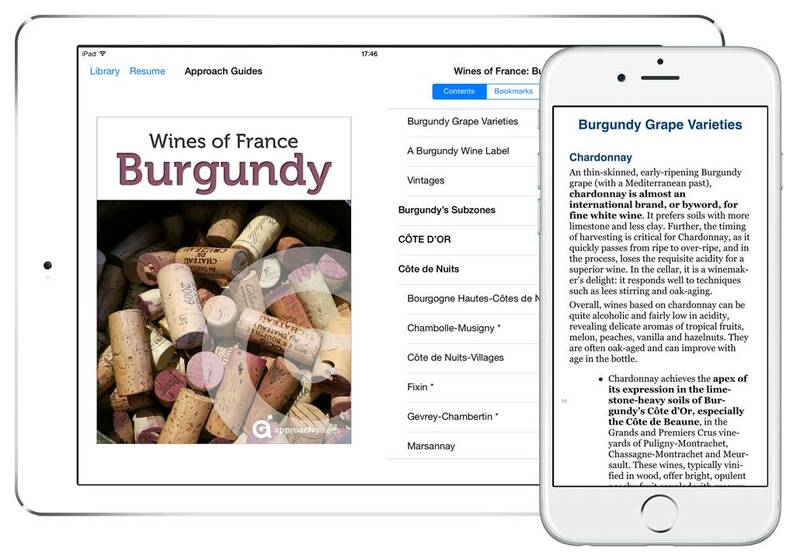 This guidebook’s approach is based on that of our wine app for the iPhone and iPad and is unique: Rather than tell you what specific bottle of wine to order by providing individual bottle reviews, this Approach Guide gives you the information you require to make informed wine choices on any list. * Look for the asterisks. We mark each of our favorite appellations and grape varieties with an asterisk (*) — they have a record for providing quality, consistency, and good values.